Stand out to potential employers by graduating with honors. In the SOJC Honors program, you’ll become part of a small, interdisciplinary cohort of emerging scholars and professionals from majors across the SOJC. You’ll engage in vibrant discussions during courses that count toward your degree requirements. And you’ll develop the analytic, critical thinking, writing, and research skills all employers want. If you’ve kept your UO grade point average at 3.5 or higher—or if you’re in good standing in the Clark Honors College—you’re likely eligible for the SOJC Honors program. What we’re looking for is excellence in the classroom demonstrated by your transcripts and recommendations from your instructors. While most students enter the program in junior year, we’ll consider admitting sophomores on a case-by-case basis. 1. Classes. You’ll take three honors courses focused on media theory, research, or issues with your cohort—likely one each term. These courses will count for three of the “core context” courses you’ll need to graduate from the SOJC. J315H Honors Media Theory (4 credits): In this foundation course for the honors program, you'll get an introduction to seminal theories in communication and an overview of methodologies used in the study of theories. J424H Honors Special Topics in Media Theory and Research (2 sections, 4 credits): Closely examine and analyze contemporary problems and situations in media and communications. Repeatable for a maximum of 8 credits. Past topics include framing social justice, visual ethics, and science and communication. Studying abroad junior year? No worries—you can also take some of these classes senior year if you need to. 2. Thesis or terminal project: During fall term of your senior year, you’ll take a 1-credit thesis prospectus class to help you plan and complete an original piece of scholarship or creative work by the time you graduate. 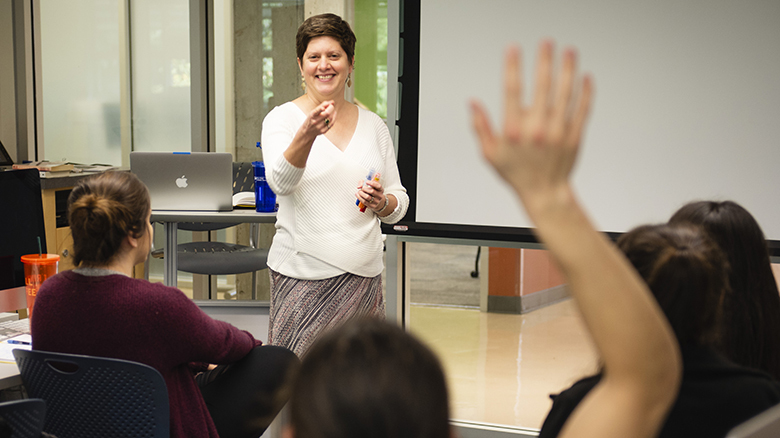 You’ll work closely the rest of the year with an SOJC faculty advisor to produce a thesis or project that reflects the theory you learn in your honors courses and demonstrates your research, writing, theoretical, and creative skills. Examples of past theses and projects: Students have written research theses about such topics as internal communication channels at PR firms, how the framing of Supreme Court decisions in the press affects citizen behavior, how climate change communication choices differ by geographical region, and the history of video game ratings. Some have developed creative projects like documentaries, magazines, and public service campaigns. Clark Honors College students: Yes, you can pursue honors courses through both the Clark Honors College and the SOJC Honors program. Your CHC 1-credit prospectus class will substitute for your SOJC fall thesis workshop, and your CHC thesis will be accepted as your SOJC Honors program thesis as long as an SOJC faculty member is your primary advisor. Two faculty references. At least one must be an SOJC faculty member. One 2- to 8-page writing sample. This should reflect not only your writing ability, but also your critical thinking skills. What works best is a class essay from J201 Media and Society, although an essay from an English, history, or comparative literature class would also be appropriate. Professional writing samples such as newspaper articles or public relations plans won’t work for this. A recent graduation plan. If you don’t already have one of these on file with Student Services, contact them to set up a grad plan appointment. Academic transcripts. Student Services will look these up, so you don’t need to worry about submitting them.